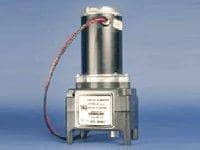 Standard Power Tongue Jack by Venture Mfg. Co.
At the time of hitching your travel trailer onto your RV, you must ensure that it is perfectly aligned and on the same level as your vehicle. 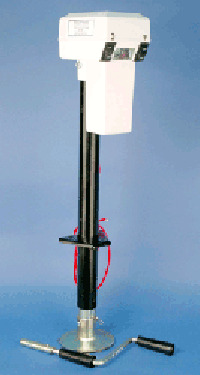 A tongue jack performs this exact function for you. By using the device, you can effort essly raise or lower the trailer from underneath to ensure an easy hitching or unhitching process. 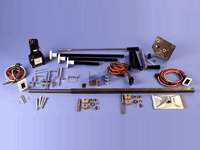 Purchase the right power tongue jack for your trailers or campers at Venture Mfg. Co and gain a good return on your investment. Talk to us to find a perfect Power Tongue Jack that best suit your application requirements. 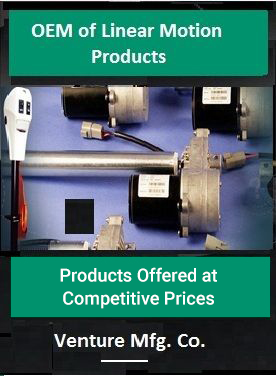 We support you comprehensively to procure the right product at the best price.